Esther learned this the hard way, by believing she could shut down painful emotions that haunted her from a broken past she tried to forget on her fast track to success. But in silencing her pain, she robbed herself of the opportunity to be healed. Maybe you’ve done the same. Have you ever been so far from ok, and still be required to get out into the land of the living? Have you ever forced yourself to get dressed, put on make up and fix your hair, head over to church with a plastered on smile? All this just to have someone say, "How are you doing these days?" Was your response... "Oh, I'm fine"... when you are most certainly as far from fine as you can be? This, this is the book for you. 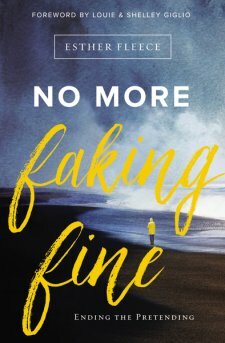 Not a self help, not an instruction manual.... a way for you to see that you no longer have to fake it, no more faking fine! I highly suggest this book to anyone that may feel the need to lie and say, I'm great, when you are slowing shriveling up inside. There are examples, as well as ways you can admit... adulting is hard sometimes, even for us adults! I look around many times needing an adult, to only realize... Oh yeah, that's me now!! Esther Fleece’s success and influence as a millennial leader have come not only courtesy of professional acumen, but personal experience. It is through the tragedies and triumphs of her own life – some of which she has shared as a highly sought-after international speaker – that she has established authority and authenticity with people from all walks of life. She shares those experiences in greater depth than ever before in her first book, No More Faking Fine, in the hope that readers will apply the events and learnings of her life to their own disappointments and injuries, resulting in new hope, healing and health. In addition to writing and speaking, Fleece is founder and CEO of L&L Consulting, Inc., where she helps new and established Christian ministries develop innovative strategies for non-profit sustainability, new business development, next generation outreach, marketing and communications and relationship brokering. 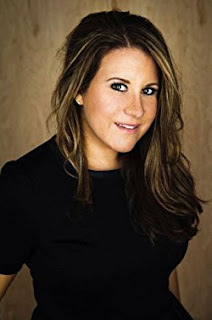 She is recognized as a trailblazer among millennials, working for a decade to connect influential individuals and organizations across generations to their mutual benefit. CNN has called Fleece one of “Five Women to Watch in Religion,” USA Today has named her one of the “New Faces of Evangelicalism” and Christianity Today and Outreach magazine have also singled her out for her high-profile work. Her insights into the experiences and aspirations of millennials have appeared in The Washington Post, CNN as well as in Barna Research President David Kinnaman’s book You Lost Me: Why Young Christians are Leaving Church and Rethinking Faith. When Esther isn’t teaching, leading, writing, speaking, reading, connecting, or traveling… she is shopping.